- 14 November 1834 : Presidency of Agra. - 1 January 1836 : North-Western Provinces. - 3 April 1858 : Oudh taken under British control, Delhi taken away from NWP & merged into Punjab. - 1 April 1871 : Ajmer, Merwara & Kekri made separate commissionership. - 15 February 1877 : Oudh added to North-Western Provinces. - 22 March 1902 : Renamed United Provinces of Agra and Oudh. - 3 January 1921 : Renamed United Provinces of British India. - 1 April 1946 : Self rule granted. - 15 August 1947 : Part of independent India. - 9 November 2000 : Uttaranchal state created from part of Uttar Pradesh. 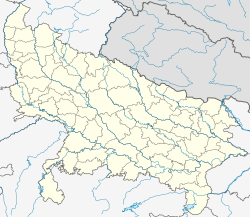 Uttar Pradesh (Híndì: उत्तर प्रदेश, Urdu: اتر پردیش), pronounced [ˈʊtːər prəˈdeːʃ] ( ẹ tẹ́tí gbọ́), "Northern Province"), jẹ́ ìkan nínú àwọn ìpínlẹ̀ méjìdínlọ́gbọ̀n ní orílẹ̀-èdè India. ↑ Cahoon, Ben (2000). "Provinces of British India". WorldStatesmen.org. Retrieved 2009-09-21. ↑ "Governers of Uttar Pradesh". Upgov.nic.in. Retrieved 2009-09-21. ↑ Ben Cahoon. "Indian states since 1947". Worldstatesmen.org. Retrieved 2009-09-21. ↑ Virendra N. Misra, Peter Bellwood (1985). Recent Advances in Indo-Pacific Prehistory: proceedings of the international symposium held at Poona. p. 69. ISBN 90-04-07512-7. https://books.google.com/?id=gMoJj-0Z94UC&pg=PA69. Retrieved 23 July 2012. ↑ Bridget Allchin, Frank Raymond Allchin (29 July 1982). The Rise of Civilization in India and Pakistan. Cambridge University Press. p. 58. ISBN 0-521-28550-X. https://books.google.com/?id=r4s-YsP6vcIC&pg=PA58. Retrieved 23 July 2012. ↑ Hasmukhlal Dhirajlal Sankalia; Shantaram Bhalchandra Deo; Madhukar Keshav Dhavalikar (1985). Studies in Indian Archaeology: Professor H.D. Sankalia Felicitation Volume. Popular Prakashan. p. 96. ISBN 978-0-86132-088-2. http://books.google.com/books?id=35DP1Z-2dnYC&pg=PA96. Àtunṣe ojúewé yi gbẹ̀yìn wáyé ni ọjọ́ 14 Oṣù Kẹjọ 2016, ni ago 08:29.